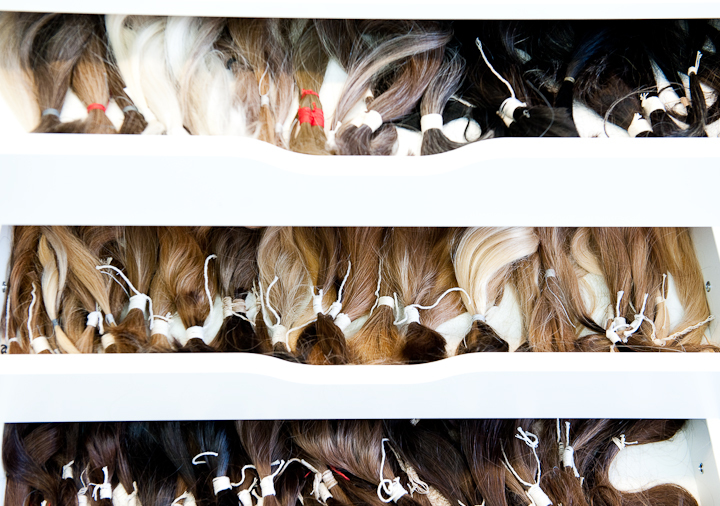 We have a huge amount of hair in stock here at our studio in Richmond, this allows us to show our clients what is available to them when they come for a consultations. The client is able to pick the colour, texture and length they require and this will then be used to create the wig or hairpiece for the client. Or hair ranges from short to long, light to dark and everything in between! You’ll be able to find exactly what you require!